Discover a hidden gem within the City of Lights - elegant, spectacular, and delightfully tucked away - at the Las Vegas Hilton. Experience the perfect reflection of our glittering surroundings from this newly redesigned Off-Strip Las Vegas hotel, fully enhanced with over $100 million in renovations. Revel in the revamped elegance of our sophisticated guest rooms. Feel the pulse of our new, high-energy Tempo Lounge. Step through the doors of the largest Hilton in the world, we offer and engage in infinite diversions to engage the senses, from premier casino gaming and exquisite restaurants to 200,000 square feet of meeting space and endless entertainment. The monorail outside our door also offers a quick, direct connection to the Las Vegas Strip, bringing you within minutes of the world's most spectacular playground. Despite the impressive list of superlatives to our name, it is actually our intimate approach to service - above all else - that sets this beloved Las Vegas hotel casino destination apart as a truly special place. 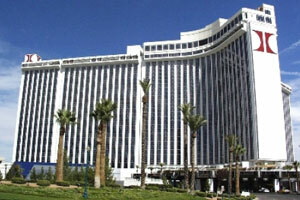 Experience the exceptional charm of the Las Vegas Hilton. As a stunningly redesigned resort hideaway, tucked away just off the Strip, we offer a surprisingly intimate brand of service within a world of infinite entertainment and indulgence.